Last year was such an amazing one in the fabulous world of video games. There were a lot of interesting release and the launch of the new Nintendo Switch! So we ask some of our devs to present you their favorite video game of 2017. What to say about BOTW ^ _ ^ This game has won best game of the year everywhere with good reasons. 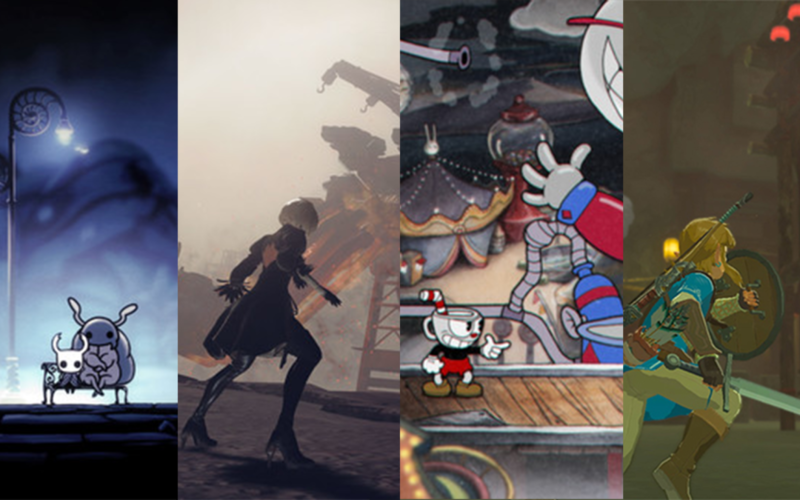 Even at the studio, we had a hard time figuring out what other games we should put in our top of the year. As soon as you played BOTW, you can only think of this one for best game of the year. Everything is completely stunning in this game. In addition to reviving a good old Zelda that makes us fall back into childhood, Nintendo brought new elements that redefined the open world genre. You can explore everything, absolutely everything! Whenever you want to climb a mountain, not only can you get there without being blocked, but there is always something to discover when you reach the top! The only limit you have is your stamina which represents your strength. Nintendo really gave another dynamic to the concept of exploration. BOTW has even integrated the top 3 favorite games of all time of our creative director. AND NOW WHICH GAMES DO WE ANTICIPATE THE MOST FOR 2018? Red Dead Redemption 2 – But we won’t be surprised if the launch date is rescheduled in 2019. Project Octopath Traveler – Only because of the name!